Generations has well trained, caring staff. Generations accreditation status means our staff attend more training than most child care facilities. NYS requires child care staff to attend 15 hours of training annually. Generations and our accrediting body require staff to participate in 24 hours annually. This means our staff spend more time learning about best practices in early care and education. Nothing matters more than keeping your child safe. From first aid training for emergency situations to ensuring a clean and healthy environment for children, Generations works to ensure best practice. Generations Nurse visits each center to offer guidance and mentoring. She trains and mentors staff in areas such as daily health checks and hand washing, medication and first aid administration. Monthly safety inspections are completed and every playground is inspected daily to ensure equipment is in proper working order. 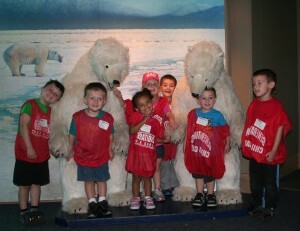 Generations offers regular field trips. Generations incorporates community resources into our programming by planning regular field trips with Preschool, PreKindergarten and School-age children. Visiting all our community has to offer extends the learning the children are doing in the classroom. Hands on experience at places like Springdale Farms, local museums, libraries, theater and musical events takes children’s knowledge to a higher level. Generations’ offers busing to and from our programs for families who don’t have their own transportation and who live within our transportation area. This critical service, funded completely by Generations, enables families who could not otherwise access quality early childhood programs to participate in a rich learning environment that is safe and nurturing and committed to meeting family’s needs. Our transportation department is staffed by drivers who are licensed to operate school buses and monitors who are trained to work with young children. Buses are supplied with specially designed harnesses or car seats to ensure the safety of such precious cargo. Each bus also practices monthly drills to ensure safe operation at all times. Medication is accepted and administered by trained medication administrants. As outlined by OCFS regulations, staff who are approved to administer medication attend an extensive training program and must maintain current first aid and CPR certification. 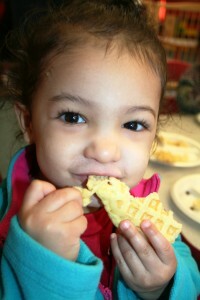 Generations participates in the Child and Adult Care food program. Eating healthy nutritious food builds habits that help develop healthy adults. Preparing and serving well balanced meals is a goal at Generations and will help your child be better able to grow and learn. 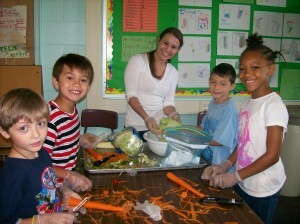 Generations participates in the Child and Adult Care Food Program. Nutrition is an important part of our program and a healthy lifestyle. All children need well-planned meals and snacks that provide a variety of foods and the nutrients needed for good health and energy. Cooks and classroom staff must participate in annual training on the food program and other aspects of a healthy lifestyle. Generations recognizes the importance of being active members of the community to advocate for the children and seniors we serve. Generations’ staff serves on numerous committees and boards to help to improve services to families. Generations has partnered locally with the YWCA, ABW and Ronald McDonald house as well as with Joining Hearts and Hands to raise funds to educate children in Kenya. In particular, Generations Child Care, Inc would like to further the dream of a local high school student who was committed to improving lives of young children. Hannah Congdon along with four beloved friends died in a tragic automobile crash just days after they graduated from Fairport High School. Hannah dreamed of becoming a teacher in Africa to help preschoolers thrive, grow, learn and have a better way of life. In memory and with much joy, in January 2009, Hannah’s Hope was officially opened in Katito, Kenya. Hannah’s family and friends accompanied Bill and Joanne Cala to open this Early Childhood Center and they welcomed 42 Kenyan preschoolers and their teachers into their new classrooms, school kitchen, latrines and fun playground. Donations are freely accepted at any Generations location!